We have a full line of products available. If you don't see what you are looking for here on our website, please contact us at 1-847-695-0682 or ContactUs@CenturyPrintAndGraphics.com. We can provide letterheads, envelopes, business cards, mailing labels, note paper, post-it notes etc. on the paper of your choice printed with your special PMS colors or in full-color. 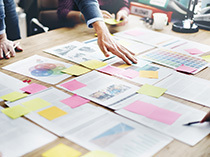 Our business forms include laser ready forms to use with your ink-jet or laser printer, pin-fed continuous computer forms, and multi-part forms. All custom designed to your specifications. 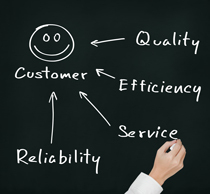 Our products include custom checks for every application: payroll, accounts payable, benefits etc. They are available in laser printer ready checks or continuous form. 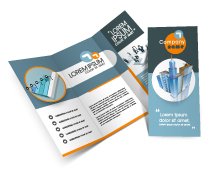 We can design and print full-color brochures, direct marketing pieces, magnets, presentation folders, post cards, variable data printing, mailing services and much more. 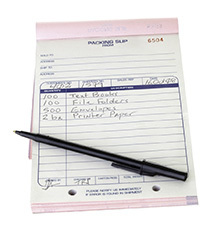 Pressure seal products can be used for checks, invoices, purchase orders, statements, grade reports, letters and more. They are an easy to use all-in-one product.